Take a look in your pocket or handbag – are you carrying a mobile device? According to Pew Research Center, 64% of all American Adults carry a smartphone. That number isn’t going to drop. It’s imperative that you reach this segment whether they’re home, at work or on the road. The best way to do this is through responsive design. 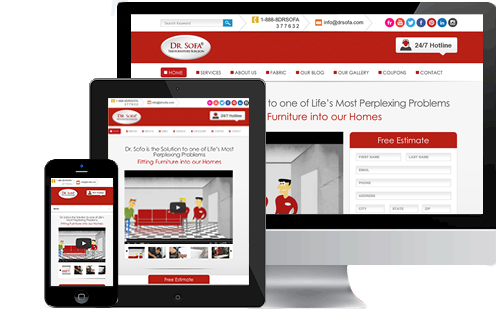 We develop websites that are optimized for display across a wide range of devices. We start with a design that is optimized for a full-width display, and when you’re happy with that layout, we reduce page elements for each width down the line so that your website displays just as beautifully – and functionally on a cell phone as it would on a desktop. The key to Responsive Web Design (RWD) is readability, ease of navigation and getting the right information to the user.